Enjoy a fine stay while visiting Bangalore at Ne Westend Suites and be assured of a memorable stay. The chic and modern lobby is a theme spread across the hotel. 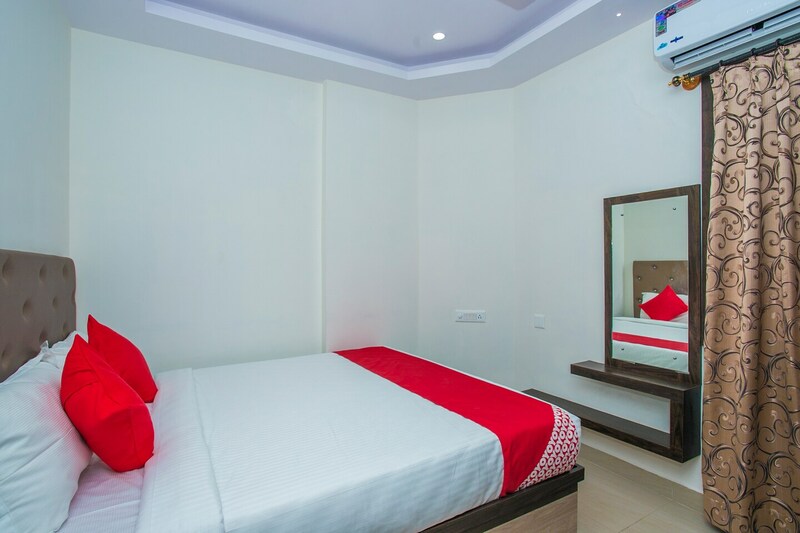 The rooms are simple yet elegant with basic amenities for the comfortable stay of the guest. The seating area is also elegantly designed maintaining the overall theme of the place. The rooms are well ventilated with wall decorated kept at a bare minimum. The bathrooms are also well equipped with basic amenities. CCTV cameras are also installed for the security of the guests. Guest can connect to social media or catch up on their work through free Wi-Fi service provided by the hotel.